Spotlight We spotlight an etymological curiosity and provide an in-depth examination of the word(s) and the etymological theories associated with it. Words to the Wise Our world-famous question and answer column in which we address your word-history queries. Curmudgeons' Corner Oh, dear, what's bugging them this time? Sez You . . . You dare to question our profound erudition? Mailing list We'll send you weekly previews of the Latest Edition, plus notification of other changes to the site. In order to keep something secret, one keeps one's mouth shut about it. That is how Greek muein, which originally meant "close one's eyes or mouth", came to mean "to keep secret". The Greeks apparently had enough secret initiation ceremonies to warrant the development of a further meaning for the verb muein, which was "to initiate". Almost all of these mystery cults had their basis in oriental religions. There were the rites of Meter and Kybele (from Asia Minor), Isis (from Egypt), and Mithras (from Persia). They also had the homegrown cults of Eleusis and Orpheus. The origin of the Dionysiac rite is frankly mysterious: we normally associate Dionysos with the Olympian gods but his initiates said that he came from India (in a chariot drawn by leopards). From muein was formed the noun mustes "an initiate", and then the Greeks got round to deriving a word to refer to the secret ceremony itself, musterion. That word soon came to be applied to anything which was secret. The Romans took musterion with the later meaning and turned it into mysterium. English took mystery from Latin in the 14th century. The noun mustes also gave rise to mustikos, which gave English mystic in the 14th century and the adjective form, mystical, in the 1500s. 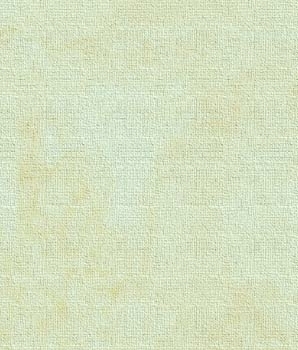 Interestingly, there is an archaic English word mystery meaning "craft, trade". It started out as mysterye "ministry, service" in the late 14th century. Oddly enough, it is not related to the Greek muein but instead to Medieval Latin misterium, which is simply an altered form of Latin ministerium "office". You may have heard of the medieval mystery plays; well, they were so named as they were originally performed by members of craft, or mystery, guilds. To the cockneys of the last century a mystery bag was a "sausage", its contents being veiled in secrecy. What is the origin of the phrase (or sound) ta-daa? Was it from the fanfare of the circus or vaudeville musicians, does it stand for something longer, or what? You almost guessed it. In vaudeville (or, in Britain, "music hall"), the orchestra would keep up a commentary on the action on stage with a kind of musical punctuation. Thus, the punch-line of a joke or the finale of a conjuring act would be reinforced with a short musical phrase. Such a musical phrase was known as a "sting". 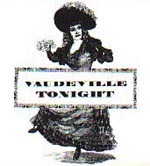 While we are (almost) on the subject, vaudeville takes its name from the valley of the river Vire (French: Vau de Vire) in Calvados, Normandy. In the 15th century there was a wool-fuller called Olivier Basselin living in this valley who composed a number of very popular songs. His songs were typically bawdy, satirical or topical and the name chansons du Vau de Vire came to be applied to all songs of this nature, especially if performed for an audience. Eventually, Vau de Vire became misheard and mispronounced as vaudeville. Where does the word pal come from? Believe it or not, we have been waiting years for someone to ask this question as pal is one of the very few English words which derives from Romany (posh is another). Specifically, pal is the English Gypsy word for "brother". There are cognates in other dialects of Romany: Turkish Gypsy pral, plal and Transylvanian Gypsy p�ral "brother". It may surprise you to learn that Gypsies originated in India. Romany is thus an Indian language and some see pal as a descendant of the Sanskrit word bhratr "brother" (related to the Latin frater "brother"). It may well derive from Sanskrit but if so we'd need to see a lot more detail before we take it on board. Pal in modern Hindi means "pup-tent". I am unable to find information on a phrase. In fact, I am even unsure of how it is written. It is PU, P.U., or perhaps even Phew. In any case, it refers to a bad odor. My sister has a theory that it comes from the first deodorant marketing campaigns, suggesting that said product would fight Personal Underarm odor. It is usually spelled pew (as in the animated-cartoon character Pepe Le Pew) but is often emphasized as pee-yew. The word has a very venerable history which predates underarm deodorants by thousands of years. The Indo-European root word pu- indicates "rot" and "decay. Its descendants may be found in many languages. Representatives in Modern English are the words pus and purulent "decaying" (both from Greek puon, puos , "pus" via Latin pus) and putrid (from Latin putrere "to rot"). The root pu- even gave rise to the Germanic fulitho which eventually (via Old English fylth) became our word filth. In Spanish, the phrase olla podrida (literally a "rotten pot") means a kind of "Mulligan stew", the ingredients of which are anything within the cook's reach. When this phrase was translated into French it became the fragrant pot pourri, quite a stretch from its literal meaning. An ancient Greek myth relates how Apollo slew a monstrous serpent and left its body to rot on the banks of a river near Delphi. This serpent became known as the python ("the rotting one") a name which was later applied to all huge snakes. In classical times Delphi was famous for its resident female soothsayer who bore the title pythia, "pythoness". We also deal with the easier words first. Bias is not an easy word to explain. English picked it up from French in the 16th century and it occurs in several Romance languages as an adjective. The word biais occurs in French (14th century), Provencale and Old Catalonian. It, as well as the Sardinian biasciu, meant "oblique". Then there is the Italian s-biescio and Piedmontese sbias both meaning "awry". All these words are obviously related but they are of unknown origin. An early explanation was that they derived from the Latin bifax, bifacem "two-faced" or "looking two ways" but this is now rejected on phonetic grounds. Originally bias was an adjective, as in the Provencale via biayssa, "a cross or oblique road" but, as it was used as a noun in French, this is the usage which we adopted. The material for neck-ties and some other garments are said to be cut "on the bias"; this merely means that it is cut obliquely and it reflects the original meaning of the word. Our modern use of the word bias to mean "prejudice" or "inclination" comes from the English game of lawn bowls. This game uses heavy wooden balls (called bowls) which are misshapen spheroids. Extra weight on one side of the bowl causes it to swerve as it rolls over the lawn. This tendency of the bowl to curve to one side is called its bias. ...our soapbox where we vent our spleen regarding abuses of the English language. I have been bothered by the use in popular media of possible when it seems probable is the correct term. For instance, radio commentators will frequently speak of increasing possibility. It seems to me that either something is possible or it is not, and if possible, then opinions can be expressed as to how probable. Quite so, Dan. Rem acu tetigisti. It has been my understanding for 25 or 30 years that trap set comes from trap drummer and/or drum trap. Originally, theatrical percussion instruments were played pretty much one to a customer - one fellow on snare drum, another on bass drum, another on cymbals, perhaps a fourth on "pitched" percussion such as xylophone or tubular bells. With the development of the bass drum pedal, and subsequent development of the high hat pedal, it became possible to pay one musician to do the work of several - to give one person the bass drum, snare, cymbals, wooden "temple" blocks, and later tom-toms and high hat. As the poor percussionist became more and more surrounded by all this hardware, the word trap became associated with the whole drummer/drum set/real estate. Thus, trap drums and trap set. This still leaves open the question of why he was called a trap drummer. Perhaps because he was trapped into playing all these different instruments with no extra pay? The issue of several names for Germany reminded me that in Hungarian (my mother tongue, by the way) it is called Nemetorszag... I don't know why.